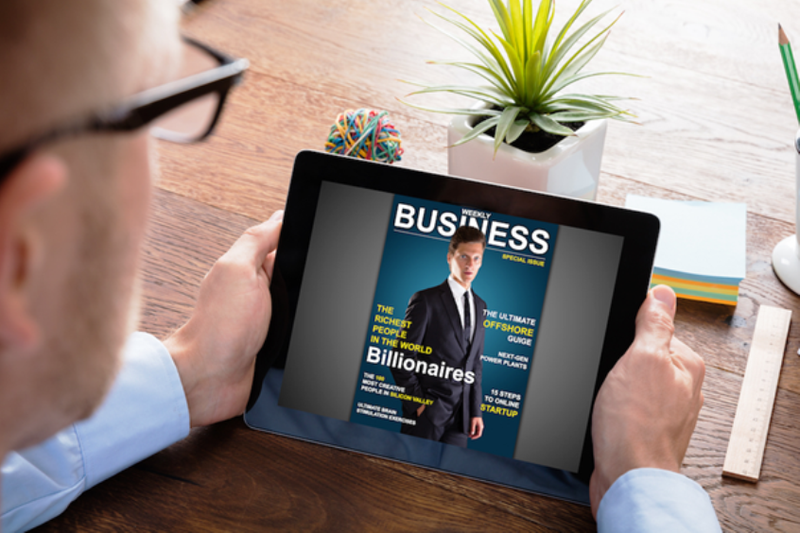 Like any other industry, the magazine world has also felt the impacts of digital technology. For a few years now, the reduction in print publications and increasing online readership has been extensively surveyed and reported by the market researchers. As per an e-Publishing report of Statista, expected annual growth rate (CAGR 2018-2022) in revenue is 5.3% leading to a market volume of US$22,045M by 2022. Also, user penetration is expected to rise from 11.3% in 2018 to 12.7% by 2022. In addition to these noteworthy numbers, faster internet speeds, interactive content, online marketing opportunities, and cheaper distribution are some of the numerous other reasons why contemporary magazine publishers are continually making a move towards the digital publishing techniques. While some of them switched from print to digital magazines, some have completely ceased print editions, others have reduced publishing frequency, and the majority is playing it safe by delivering through both print and digital publications. Let’s deep dive and go through a list of top four print magazines that switched to digital magazines only. Playing it strong online, Teen Vogue has millions of daily website visitors and followers across social networking platforms. Targeting the teen audiences, it was launched as a sister publication to Vogue. Like Vogue, it started by publishing a print magazine about fashion, beauty, celebrities, wellness, and entertainment. Later, it expanded the content boundaries by publishing about politics and current affairs as well. In November 2017, an official announcement was issued stating that the magazine will stop print editions and will continue as an exclusively digital publication. This decision was taken as a method of cost-cutting due to the decreasing number of magazine sales. Since then they’ve been delivering high-quality online content in an interactive and entertaining manner. While a few have doubts and concerns over their magazine’s complete transformation to digital, Teen Vogue is confident about its digital success. Managed by its parent company IDG Media, it serves in 36 countries under same or similar names. With their first issue published in June 1967, Computerworld has been incessantly delivering technology news, upcoming advances, and opinions to the IT professionals and enthusiasts around the world. Evolving with the demand of online magazines, they announced in June 2014, the abandonment of the print edition. This magazine created headlines by declaring digital-only presence after sending out print magazines for the last 47 years. Interestingly, they simply shifted their resources from print to digital. Being the leader in the world of technology news they have adopted the best practices to optimize their site for smaller screens and other digital platforms. From the first issue published in 1979 till the final issue circulated in February 2017, Self magazine has come a long way, faced ups and downs, emerged as a source of inspiration for many, and bagged multiple recognitions. The Self magazine targets women audience and publishes about wellness, health, food, and beauty. They cater to their end users across various social platforms in the form of engaging content including images, videos, and infographics. With the declaration of exclusively digital strategy in December 2016, they announced the ditching of print issues. Adopting the solely digital approach, Self magazine looks forward to continuing delivery of engaging content, leverage the online opportunities, and upgrade the living standards of worldwide readers. Founded in 1985, Information Week magazine delivers business insights and advice to the IT leaders. They aim to connect business technology community by helping them explore problems and finding feasible solutions to them. In 2013, they officially announced the decision to cease print publications and go entirely digital. They attracted many of their print magazine subscribers by offering promotional digital subscriptions to the customers and prospects. The concerned officials mentioned online analytics as the major factor in going digital in addition to other significant factors like advertising, interactivity, and changing readers’ habits. The future belongs to those who put the right foot forward at the right time. Digital transformation has been perceived as a viable option offering an immense opportunity for growth and learning possibilities. With an increasing number of publishers going digital, tweaking their business models, and optimizing for digital screens, it’s high time to gear up, innovate, and establish a strong online presence.